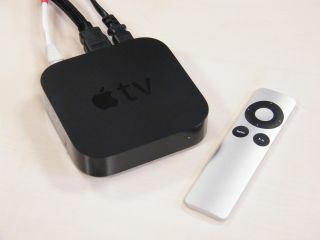 The iPad HD may prove to be the headliner but there may be more to Apple's announcement tomorrow given that 98 per cent of US retailers are now out of stock of the Apple TV box. When stock runs dry like that, it often means a product refresh is on the way and Apple just so happens to have a media event scheduled for tomorrow (you might not have heard). We already brought you the news that PC World in the UK has run out of the tiny TV terror, but the sheer scale of the stock shortage in the USA suggests that tomorrow's the day for a new Apple TV console. If the rumours are proven true, we'll be expecting to see 1080p video streaming (as opposed to the current max of 720p) and perhaps a new operating system that can play nice with iOS apps. Also expected tomorrow is the iPad HD. Or the iPad 3. Or the iPad 2S. Whatever it's named, we're hoping to see Retina-esque Display come to the new Apple tablet, as well as a faster processor and perhaps even iOS 5.1. TechRadar will be reporting live from Apple's London event tomorrow from 6pm UK time – join us here on the site or over on Twitter for all the as-it-happens fun.